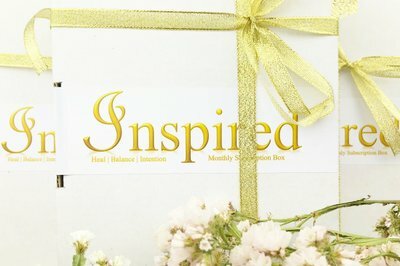 Enter your email address below to receive a notification when INSPIRED Subscription Box starts accepting new sign-ups! 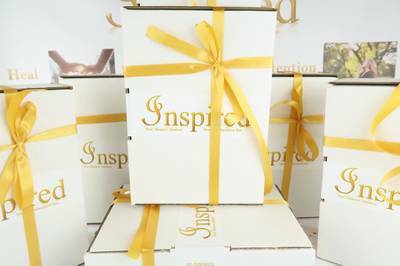 Enter your email address below to receive a notification when INSPIRED Subscription Box is accepting new sign-ups again. Please order by the 9th of the month to get the current box. We ship between 10th & 15th every month from Australia, to Australian and International subscribers. Delivery Times from Shipping: Australia 2-6 days | US & Canada 7-14 days | Everywhere else 3-4 weeks. You will receive an e-mail with tracking information on the day that your box ships. 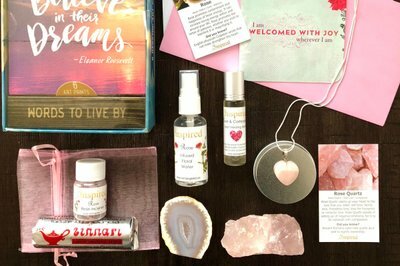 INSPIRED is a holistic health subscription box that focuses on promoting inner HEALING, creating BALANCE & positive INTENTION. 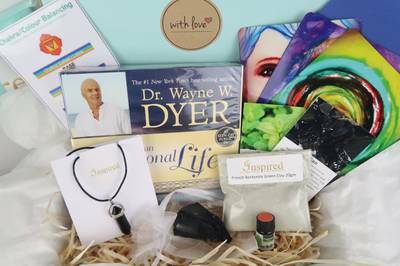 Each box is a combination of crystal & colour therapy, aroma therapy, natural therapy, vibrational medicine, natural/herbal medicine, affirmation work & mindfulness to easily incorporate into your everyday life. 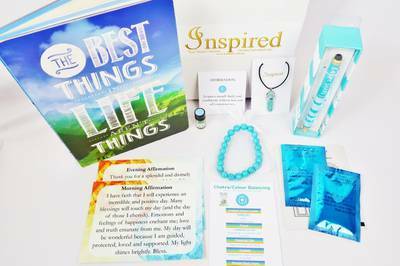 Every month includes an inspiring Book, CD, DVD, stationary or cards. 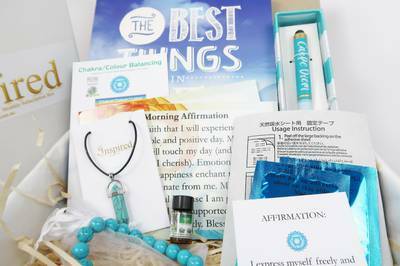 Will also include: Healing Jewellery | Inspirational Item(s) | Natural Therapy/ Aromatherapy/ Chromotherapy or Symbology Product(s) | Crystal(s) | Meditation/Affirmation Card(s). 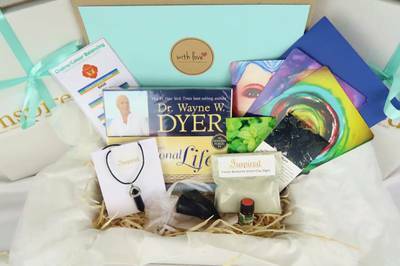 A mix of vibrational, physical, emotional & mental healing products & therapies. 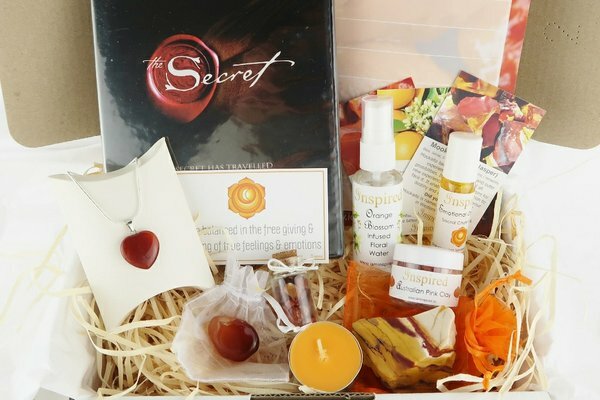 Includes emerging healing products & therapies, as well as old favourites. 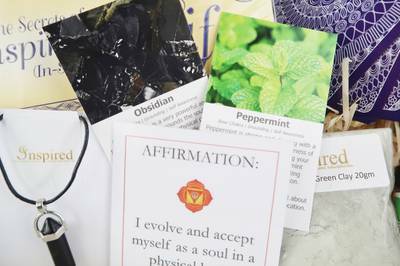 Informational cards accompany most products, making it easy to learn and apply.